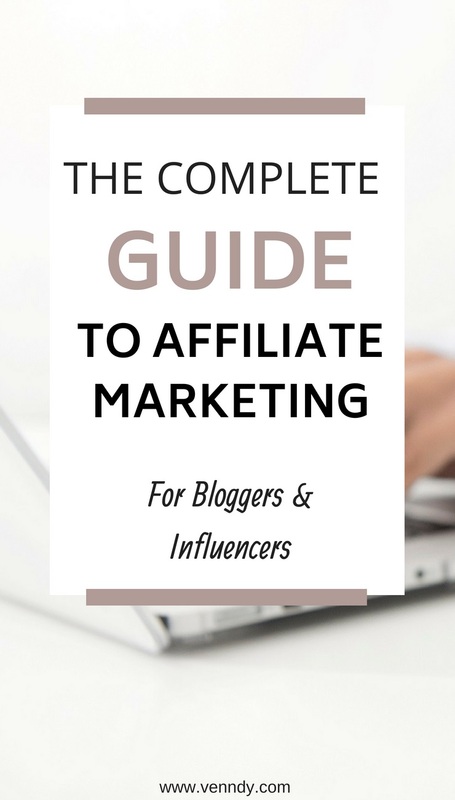 If you are still new to affiliate marketing and are asking yourself how to get started, in this post we will cover the first steps toward using affiliate marketing to monetize your content and earn money from your blog or social media accounts. In case you are not familiar with affiliate marketing, you may want to start by reading our post The Basics for Affiliate Marketing in which we cover the terminology, how affiliate marketing works, and some statistics to help you understand the ecosystem. Feeling overwhelmed by everything you need to learn about when you start blogging? Check out our Resources Page for a selection of blog posts, products, services, and tools, broken down into an easy and shop-like view that will help familiarize you and get you started. 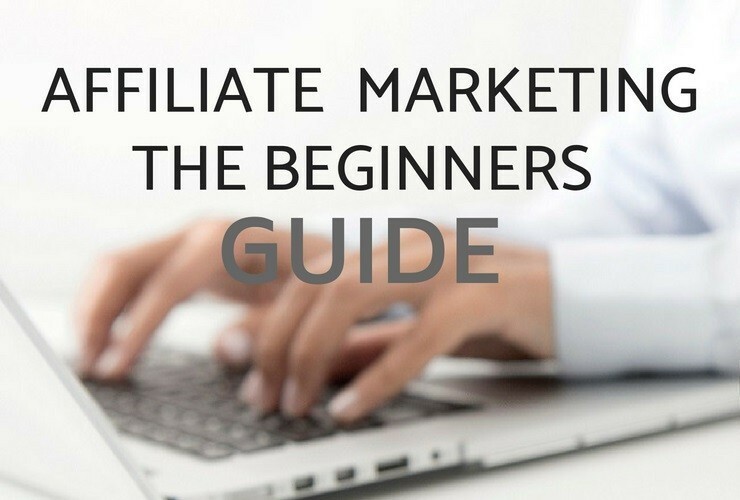 In this post we present you with the first steps you need to know about affiliate marketing in order to prevent you from putting the process off to a later stage. There is, you see, some controversy about whether you should use this method of monetization before you have enough traffic. You can read the full discussion of the pros and cons at When is the Right Time to Start Using Affiliate Marketing to Monetize Your Content. We, however, recommend that whether you have a blog or a social media reach, you plan on building the correct infrastructure for monetization from the very outset. Affiliate marketing is one of the best ways for bloggers to earn money. It has been voted as one of two top sources by publishers. Its advantages include the following. There is no need to create your own product or service. It needs to be integrated into your content in a natural way, but once integrated, it creates a stream of passive income as long as your content is still relevant. It is one of the monetization methods that encourages authentic and genuine advice based on real experience and unlike sponsored posts or direct brand relationships, compensation is based on your success to create trustworthy connections and conversions. If you are completely new to affiliate marketing, please first read The Basics for Affiliate Marketing and then come back here, as this post is about some practical steps you can take to start earning money from affiliate marketing. Affiliate marketing is promoting products or services and earning a commission when someone makes a purchase through your unique affiliate link. By promoting products and services you already use and love on your blog or social media, you can earn money through affiliate commissions. While you don’t need a blog for affiliate marketing, having one will help you leverage your content in a more creative way and, in some cases, make it easier to get approval for some affiliate programs. Nonetheless, there are a few affiliate networks which don’t require a blog, and a social media account, such as Instagram, YouTube, or even Pinterest, may be sufficient. There are though programs that do require affiliates to have a website. If you are considering starting your own blog, you may want to check out our Resources Page for how get started with some blog posts and tools that will make it easier to get going. Can New Bloggers Make Money With Affiliate Marketing? 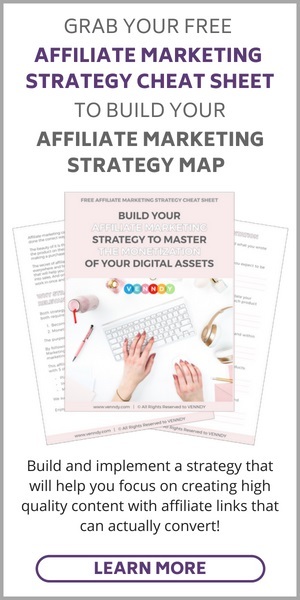 The answer is yes, because if you are using affiliate marketing on all your platforms, you don’t just rely on your blog but on all of your social reach. Using affiliate marketing from day one will help you do it right and grow your income as you grow your reach. Your readers will thank you for a good recommendation which has saved them time and money and which they would never have found if you hadn’t promoted it. Read more about why you should start using affiliate links from the very beginning on our blog post How to Monetize Your Blog From Day One Using Affiliate Links. What Products and Services Can You Become an Affiliate for? You have no problem being enthusiastic about them and recommending them wholeheartedly. If a product has helped you, it will probably help others too and people will appreciate your honest reviews. Not everyone has the same taste. What suits one, may not be another’s cup of tea. It all comes down to connecting with the audience that most resonates with what you choose to recommend and promote. The second category includes products that you haven’t necessarily used but that are either similar to other items you share on your post and help you to create a richer variety of options or are products that you think your followers would love. They may even be on your own wish list! The third category includes products you have researched online and found featured in a great number of searches, which means that they are in great demand. You can help others by doing the research for them, finding alternatives, and offering them educated and well investigated information. Your research can be simple, but with expertise you can advance your understanding of both profitable niches and products and those in high demand. The best way to look at it is to understand that your readers will be more than happy for you to get paid (not by them but by the businesses to which you are referring them), provided that they get valuable information which saves them time due to your prior experience, your good taste, or your unique expertise. Anything that makes their life easier is an opportunity for you. Do You Need a Lot of Traffic or Followers? More and more affiliates have reported success in affiliate sales even without a large following. The following trends have shaped a change in affiliate marketing exposure, opening it up to increasing numbers of influencers. Social media has become a powerful tool helping both e-commerce sites and influencers to reach a wide range of customers. Influencers can grow their audience not only through a blog but also through social media exposure. They now have a range of channels through which they can share their content. Growing number of brands and retailers appreciate the advantages of using affiliate marketing to increase brand awareness and reach new consumers through customer referrals. Micro-influencers in particular have become a driving force of e-commerce, as consumers rely on them more than on advertisements. Statistics have shown that the smaller an influencer’s number of followers, the higher the engagement and conversion rates. Some affiliate networks and brands welcome micro-influencers and allow them to use their tools on social media accounts and other platforms. So this is why the number of followers is less important. What’s more important is either strong engagement, even with a small number of people, or the richness of your promotion verticals, in other words, the compound or total magnitude of your social reach throughout all your social channels (Instagram, Pinterest, Facebook, Twitter, YouTube, and more). 1. How Do I Find Affiliate Programs to Join? Start by thinking of products or services you yourself have used – a hotel you visited, a great beauty product, something food related, etc. – for which you would be proud to be an affiliate. Alternatively, you can go to their website and look for "Affiliate Program” in their footer or in other information listed. Many companies have a link that will direct you to an affiliate network they are part of. For a list of affiliate networks as well as affiliate programs you can join, check our blog post HERE. Have a look at the affiliate networks in this list and see if there are any products or programs you would be happy to recommend, either because you have used them yourself or because someone you trust has used them. Join and sign up to 2 or 3 affiliate networks and programs of products you love. Be honest and give full disclosure. It can only help! 2. Where Do I Promote My Content and Affiliate Links? Promoting your content will help you both grow your traffic and get a sense of what works best for your audience. 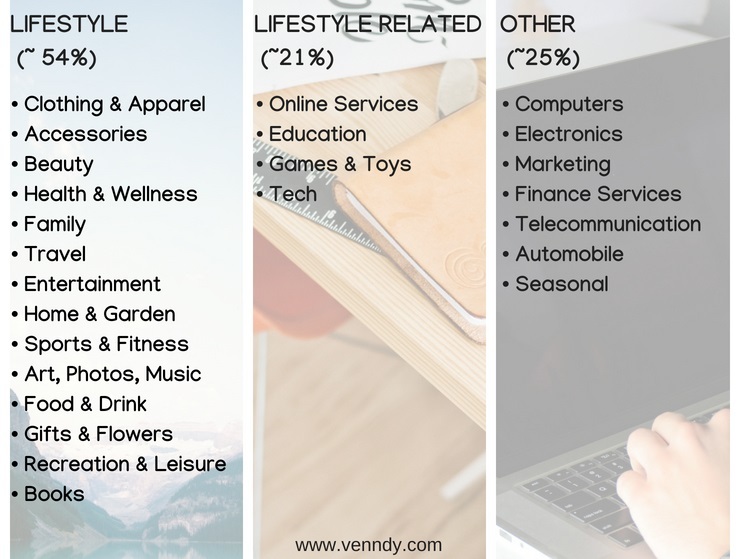 Using VENNDY will help you promote your content easily on all the following channel, or you can use traditional methods. Social media platforms such as lnstagram, Facebook, Twitter, etc. Make sure to always disclose when you are using an affiliate link. (You can read more about FTC’s rules and disclosures HERE). When using VENNDY, a disclosure is automatically inserted whenever you insert a link in the affiliate text box. 3. How Do I Build My Audience’s Trust? You may want to read our blog post How To Make Affiliate Marketing Work and Succeed as an Affiliate in Any Niche. But the basic ideas behind it are as follows. Create value – We believe that influencers should be compensated for their creative content when helping others make better, easier, and more personalized choices. Helping others is a crucial part of any monetization model. Give as much helpful and relevant information as you can (past, present, and future): explain the background for using the product (why you purchased it? ), your experience with the product (what you liked/disliked about it? ), and your future plans (will you use it again?). Be honest and genuine – Only promote products you (preferably) have used, loved, and are happy to stand behind. Bad reviews are also helpful; they build credibility, if not for this particular product, then for others. Engage and build a connection – Be open to questions and comments; it will help you better understand what your audience needs and wants. Questions and comments will become part of your content going forward and help you to extend your reach. Build your position – You are a maven or expert in your field. It doesn’t have to be your full-time occupation, but you have put in a lot of time and attention and have built your knowledge and maybe expertise. It can be in fashion, travel, beauty, wellness, art, food, restaurants, parenting, blogging, self-development, etc. Don’t sell, persuade, or push – Recommend, highlight pros and cons, and present the option. Even online people can smell a salesy person or manipulation. These 5 basic practices will help you build credibility while staying authentic and true to yourself and your journey. 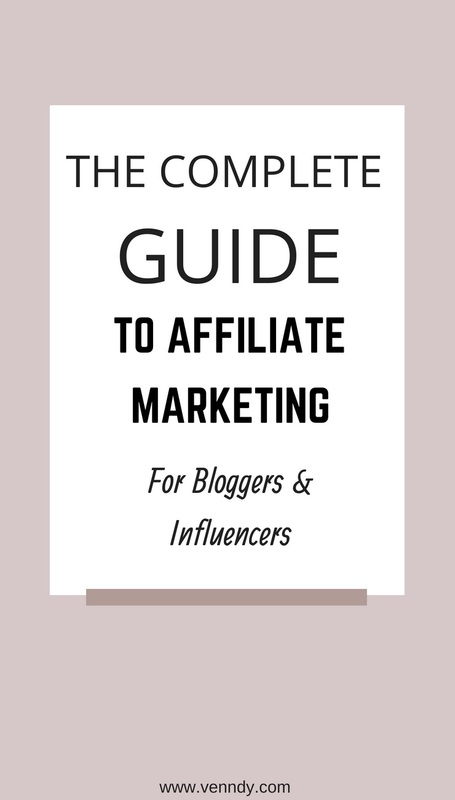 For a broader discussion on how to make affiliate work, check out our other blog posts under the Affiliate Marketing Guides category. If this post has been helpful, feel free to comment and share it with others.